This game-changing book reveals the extraordinary results of focusing on our children's strengths rather than always trying to correct their weaknesses. 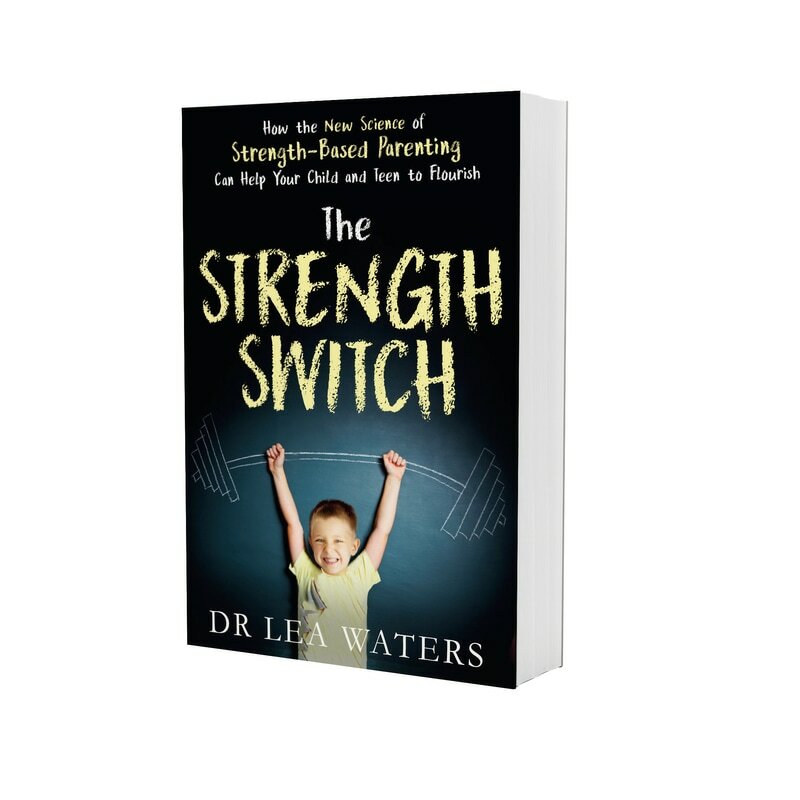 By showing us how to throw the 'strength switch', Dr Lea Waters demonstrates how we can help our children build resilience, optimism and achievement. As a strength-based scientist for more than 20 years, Waters has seen how this approach enhances self-esteem and energy in both children and teenagers - and how parents find it an exciting and rewarding way to raise them. With many suggestions for specific techniques to interact with your children, Waters demonstrates how to discover their strengths and talents, use positive emotions as a resource, build strong brains, and even how to deal with problem behaviour and talk about difficult situations and emotions. The Strength Switch will show parents that a small shift can yield enormous results. To order from Booktopia, click here. Discover how to help your child be their best and how to strength-spot with your child in these short videos from VIA. Click on the audio below to listen to Tess Ikonomou's interview with Professor Lea Waters on strength-based parenting & childhood stress. With gratitude to ﻿SYN Community Radio 90.7﻿ for the recording. Click on the audio below to listen to Mitchell Dye's interview with Professor Lea Waters on strength-based parenting. With gratitude to 94.7 FM The Pulse and Mitchell Dye's Front Page for the recording. ﻿Click here to read the article in the Parent Herald on Lea's paper, "The relationship between strength-based parenting with children's stress levels and strength-based coping approaches." Click here to read Susie O'Brien's interview with Professor Lea Waters on how strength-based parenting can reduce stress and help primary-aged children cope with life. Click here to read Katherine Smith's interview with Professor Lea Waters about understanding the new concept of emerging adulthood. Listen to Professor Lea Waters talk about why positive education is important, how well-being and performance are linked and what teachers interested in positive education can do to get started. Children are more likely to use their strengths to effectively cope with minor stress in their life if they have parents who adopt a strength-based approach to parenting. Click here to learn more. During their trip to Orlando for the 2015 International Positive Psychology Association (IPPA) conference, Michelle McQuaid interviewed Lea Waters on strength-based parenting. Listen to how strengths have changed over the last 100 years and discover whether you are a HIP parent. Click here to listen. Shefali Tsabary, Ph.D., is a clinical psychologist from New York. She is the author of the multi-award-winning book, The Conscious Parent. Sourced from the TEDx Talks You Tube channel. Prof. Lea Waters, Gerry Higgins Chair in Positive Psychology at the University of Melbourne, discusses Growing Brains: Capacity, Intelligence and Resilience at the Festival of Ideas 2013. Sourced from The University of Melbourne You Tube channel.